My husband is a major Star Wars™ buff. He is completely obsessed with all things Star Wars™so I feel like I’m seeing and hearing about it from every angle right now. He totally geeks about all the nerd stuff so of course when we saw that Walmart was carrying Star Wars™ Honey Nut Cheerios® he got some crazy ideas about what he could do with them creatively. 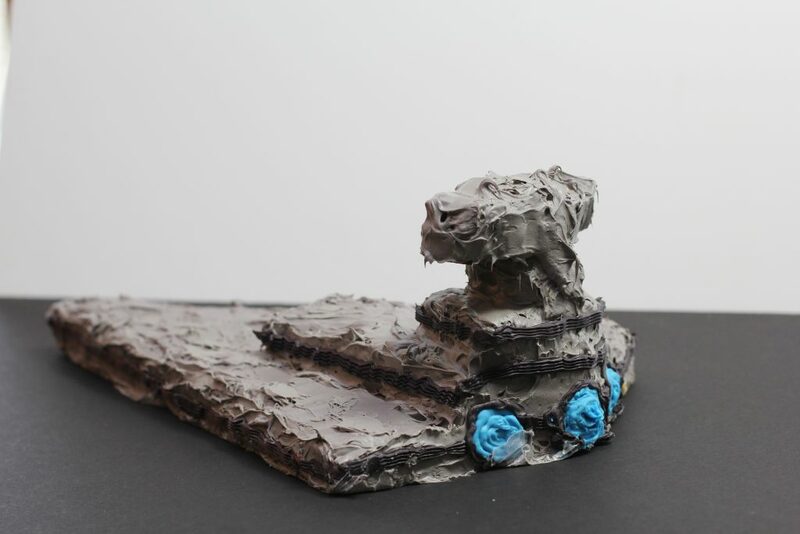 Keep in mind this is the same man who paints miniature models in our basement for gaming, so he is pretty crafty and has an eye for piecing things together. 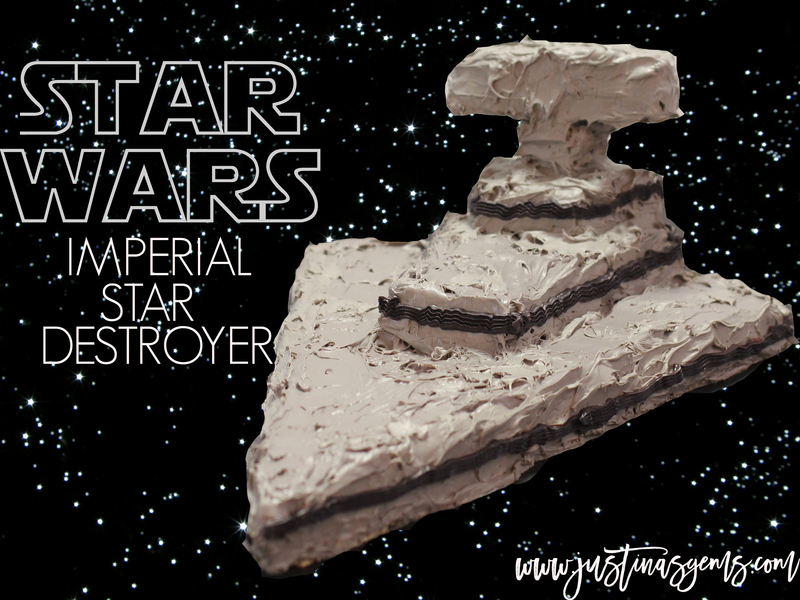 That’s how he came about to the idea of creating an Imperial Star Destroyer out of Honey Nut Cheerios! When we first picked up the box, it was like being a kid again. I think it’s been a hot minute since I’ve had cereal that comes with a toy! 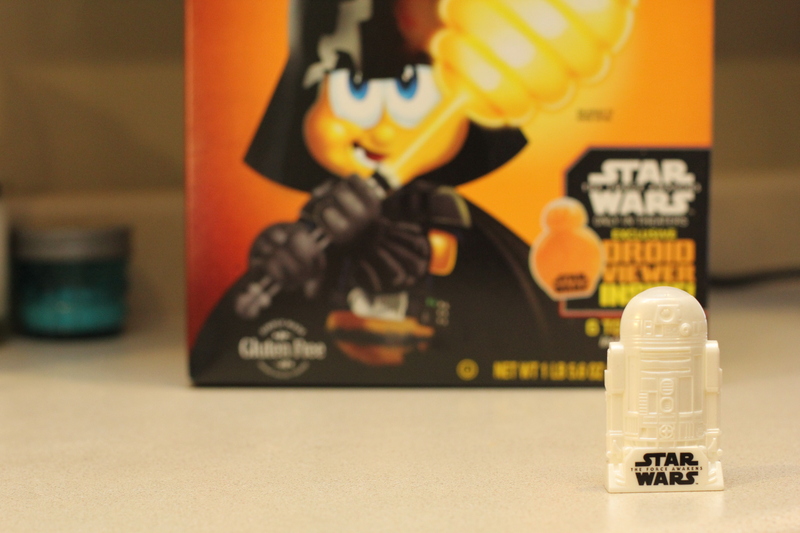 So cool, the cereal came with a little R2D2 toy. 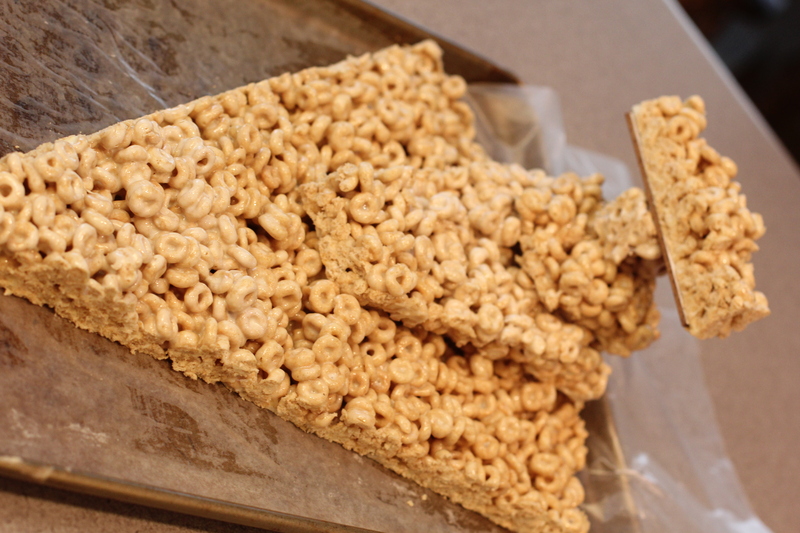 To create an Imperial Star Destroyer out of Honey Nut Cheerios, we first had to create some Cheerio bars. These were super simple to make. I’ll give you a rundown of the ingredients. It’s a super short list. 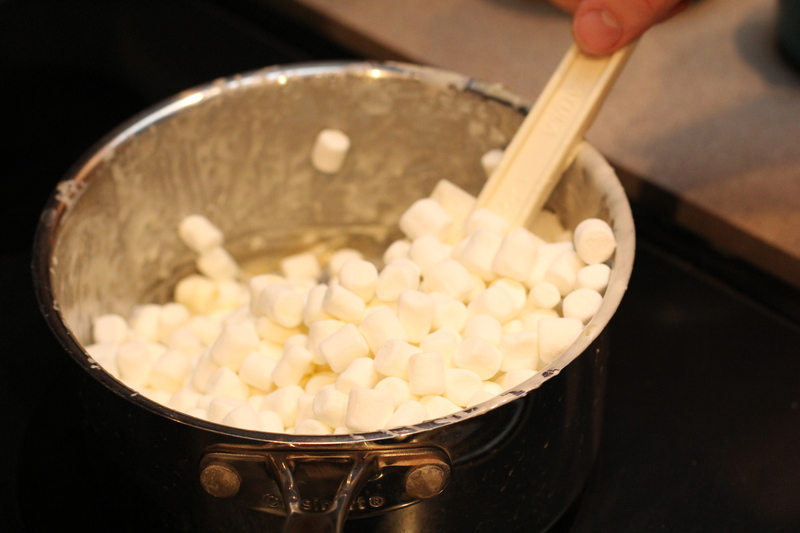 In a large saucepan, we combined and melted the butter and marshallows over low heat. We stirred in 12 cups of Honey Nut Cheerios. 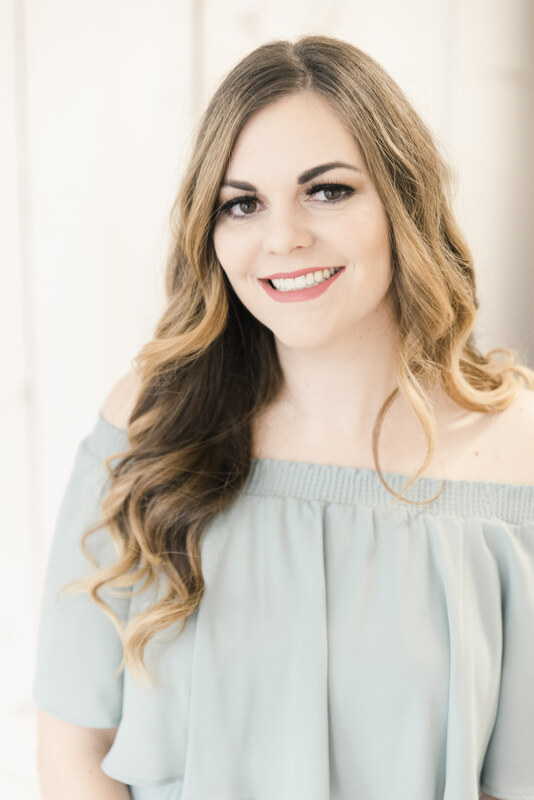 Depending on the size of your saucepan, it may be easier to halve the recipe and do one half of the cookie sheet at a time. 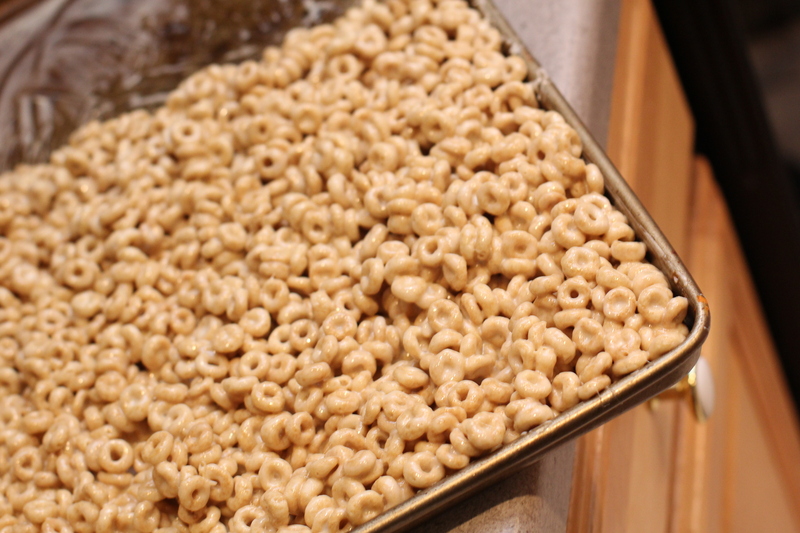 Once the Cheerios were covered, we spread the mixture evenly across a standard cookie sheet. This mixture was enough for a full cookie sheet, but we did it in half batches. 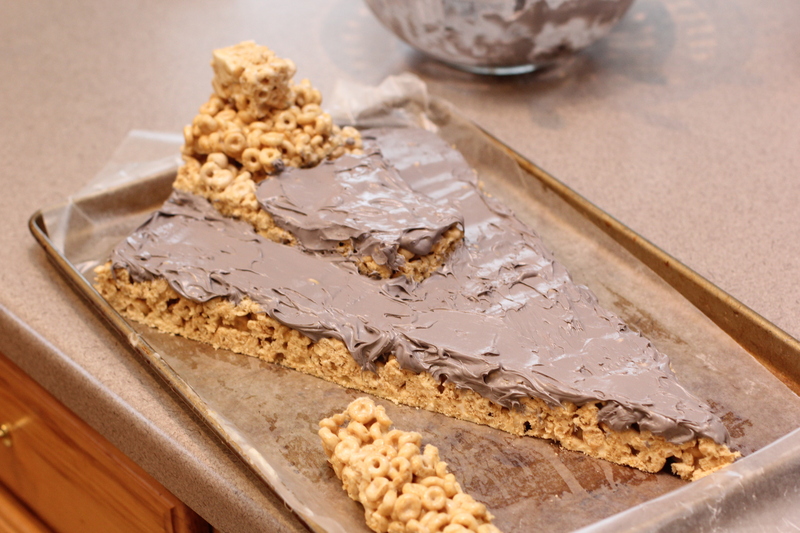 Next, we decided to create the Imperial Star Destroyer out of the Cheerios sheet. We ended up letting the sheet chill in the freezer for about an hour. Then we took a pizza cutter and cut out the shapes below. Mike made a diagram and eyeballed it with a pizza cutter. If you are like me and would probably mess up, you could use string as a guide. After cutting all the pieces out, we stacked them. 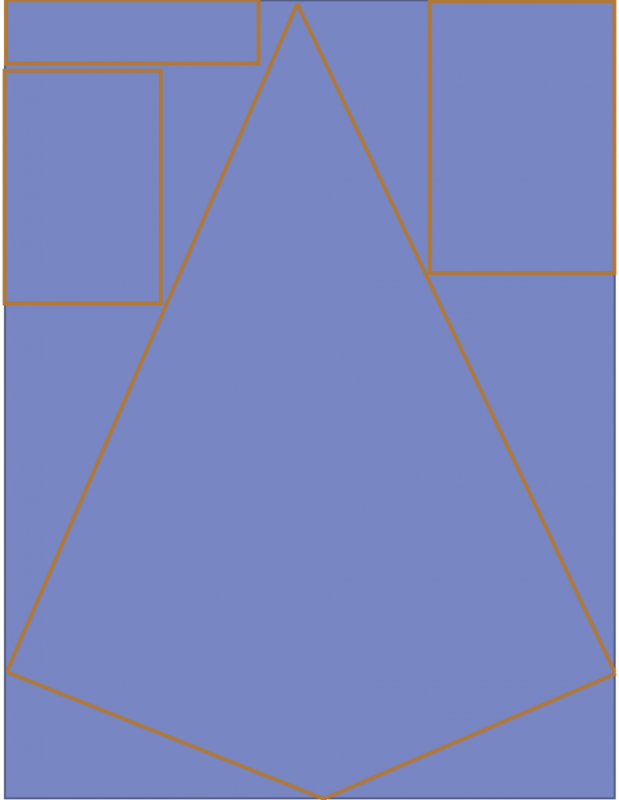 The large triangular shape went on the bottom. One of the big rectangles gets stacked on top the back with the back lining up to the back of the triangle. The other big rectangle gets chopped into a couple smaller geometric pieces to build it up higher. The long and skinny rectangle gets put on the very top. 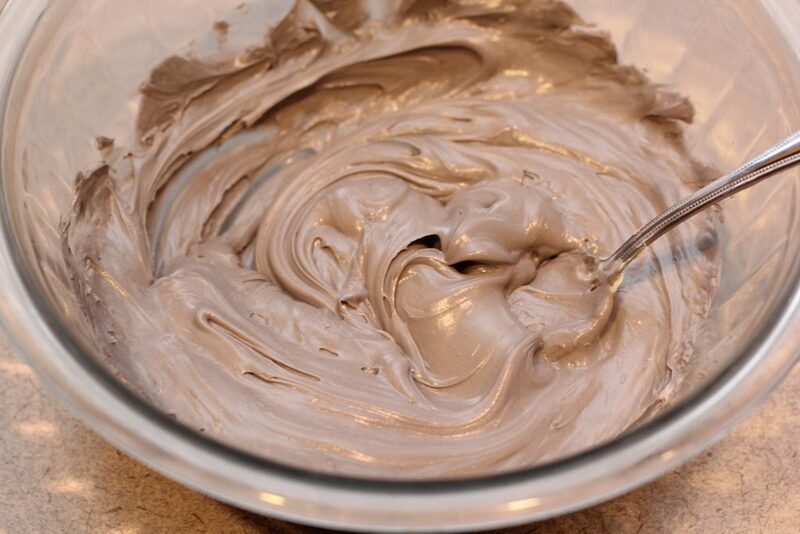 For the next step, you could certainly use gray frosting if you could track it down, but it’s not the “prettiest” shade so good luck finding a large tub of it. 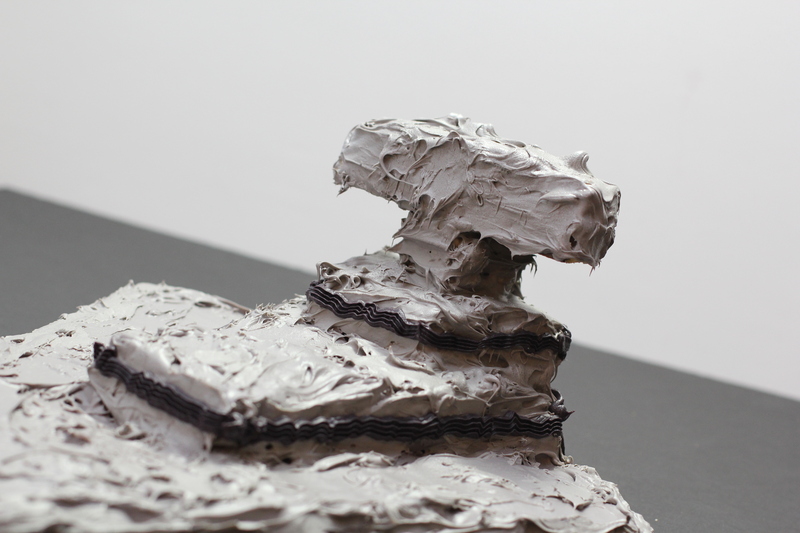 We ended up mixing about 10 drops of black food coloring per tub into white frosting. 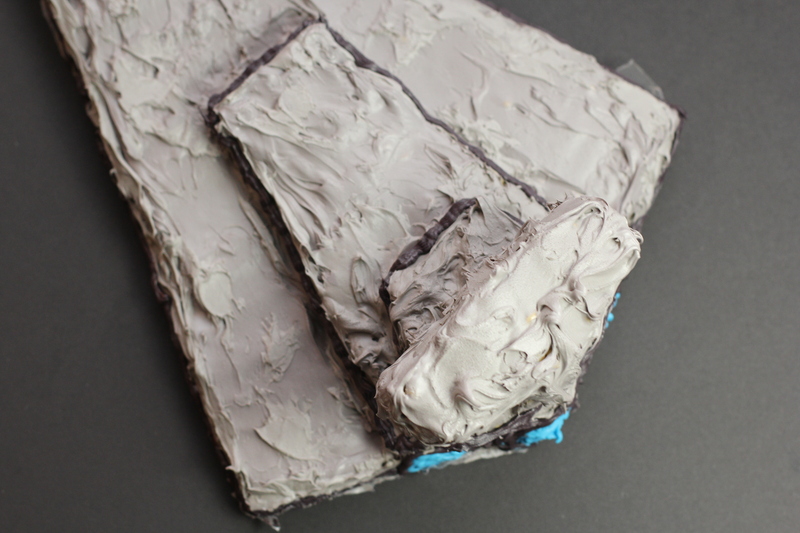 Then start spreading it on all the surfaces. Once all surfaces are covered with frosting, go in with the black frosting and trace around the center of each slab. On the back, we went in and made three blue circles for engines. I’ll show you what it looks like from all the angles! I thought this turned out so cute! All in all, between making and freezing, icing, and decorating this, it probably took an hour total. I broke pieces off of this all weekend so I’m not really sure how many servings it would be, but I’m guessing 10-12 people could have a decent sized piece of this and it would be gone. 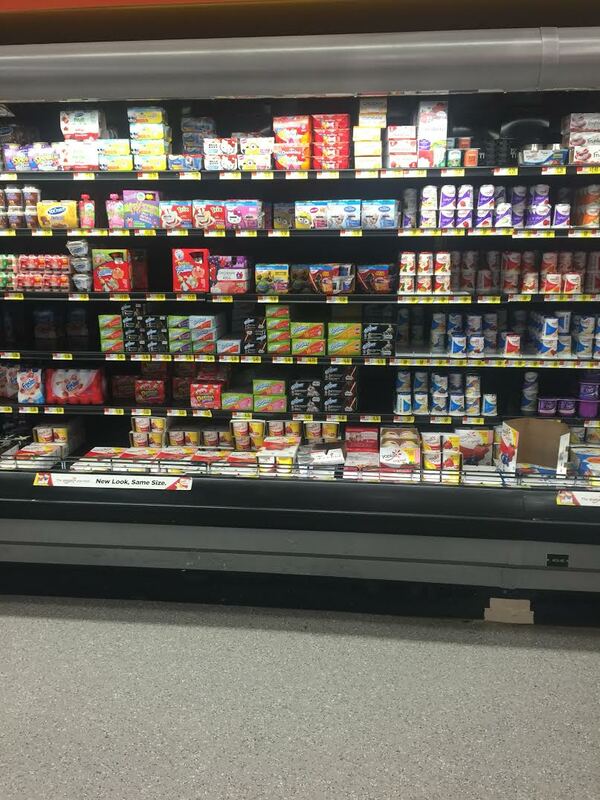 Everything I needed I grabbed from the cereal aisle, baking aisle, and the cold aisle by the yogurt at Walmart! And since I feel like I can’t go anywhere lately without seeing Star Wars™ things, I had to pick up some Star Wars™ Go-Gurt too. Talk about a blast from the past! 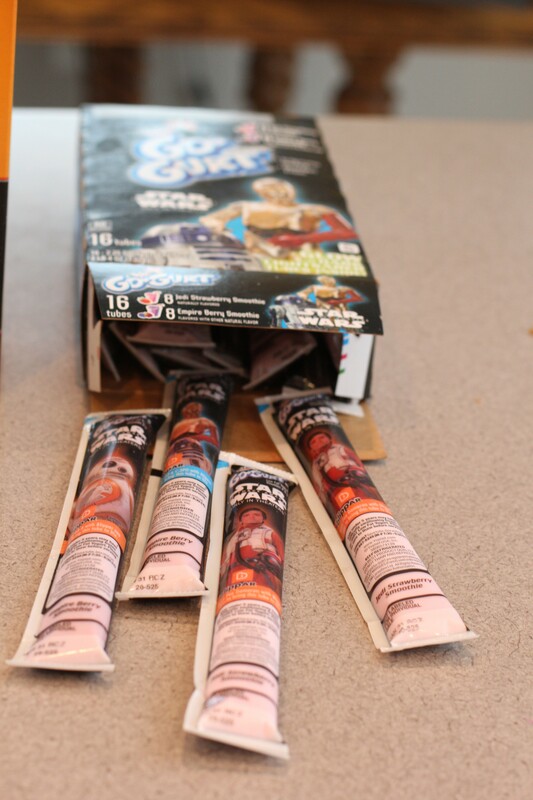 I haven’t had Go-Gurt in years. All of this fun and we still haven’t seen the new movie yet. My husband says it’s going to be epic and all of the original characters will be in this rendition. He is super excited. He also asked for only Star Wars™ items for Christmas. I will have to let you know when we end up seeing it. Surely I won’t get out of seeing it at some point in the near future! Are you a Star Wars™ buff? 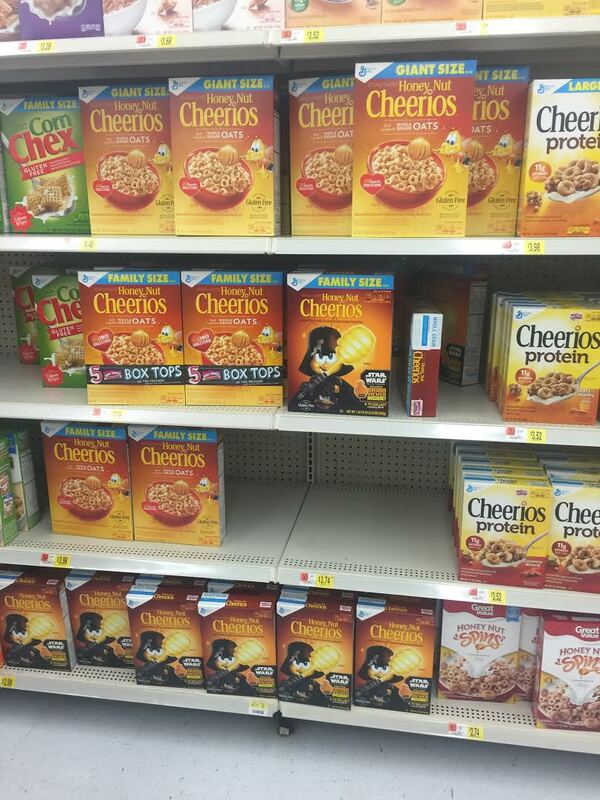 Do you think you’ll see the movie or buy the cereal?